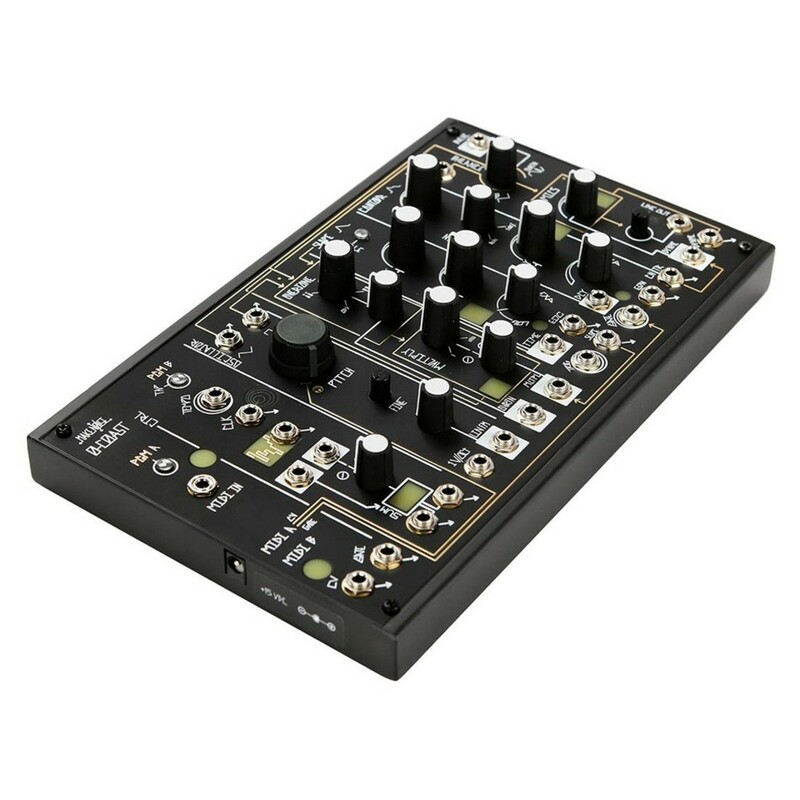 The Make Noise 0-Coast is a single voice patchable synthesizer featuring 13 sources and 14 destinations for optimal versatility when it comes to creating sounds. The 0-Coast Patchable Synthesizer is compact yet powerful, utilising vintage modular synthesis techniques to deliver an expressive and flexible synthesizer. At the heart of the 0-Coast Synth is the single triangle core analog oscillator, boasting triangle and square wave outputs for added flexibility. It also includes an overtone generator with voltage control of all circuits. It also includes an integrated dual mode MIDI controlled arpeggiator for creating rhythmic sounds. The Make Noise 0-Coast Single Voice Patchable Synthesizer is one of the most versatile synth modules on the market. At its heart, the synth boasts a triangle core analog VCO with triangle and square wave outputs, ideal for creating a wide range of sounds. Not subscribing to East or West coast synthesis principles, the 0-Coast synth provides a hybrid of both of them, offering a veritable sound palette reminiscent of classic synth modules. It boasts a wide range of premium-grade, on-board features that allow you to get the most out of your sounds, as well as boasting voltage control on all circuits. The monophonic design is patchable for up to 13 sources and 14 destinations. As well as being ideal for use within a Eurorack, the Make Noise 0-Coast can also function as a compact and highly portable desktop synth. 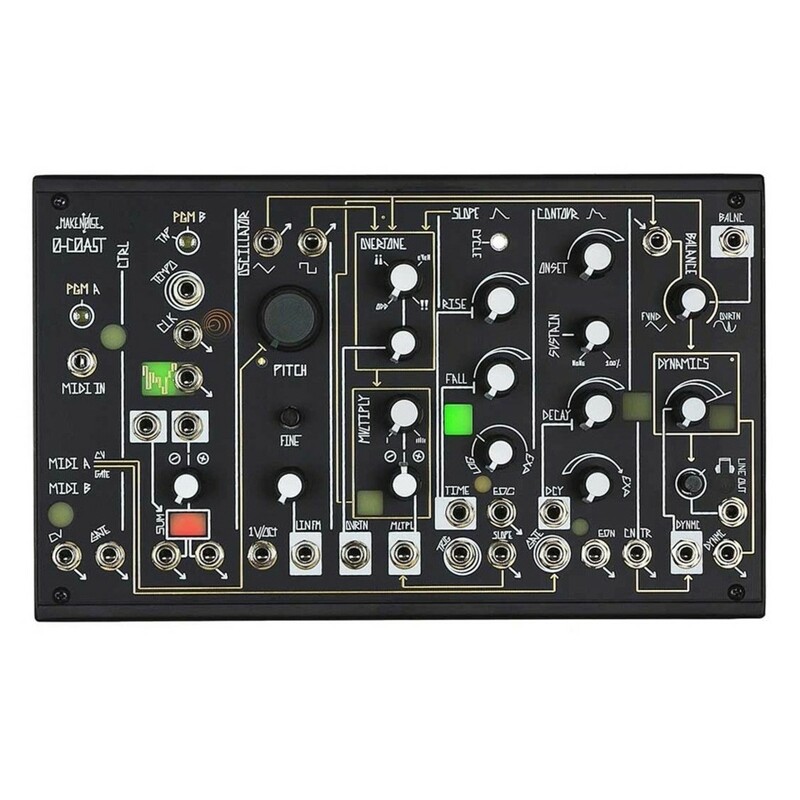 Utilising classic modular synthesis techniques, the Make Noise 0-Coast can be operated without the use of patch cables for optimal flexibility. 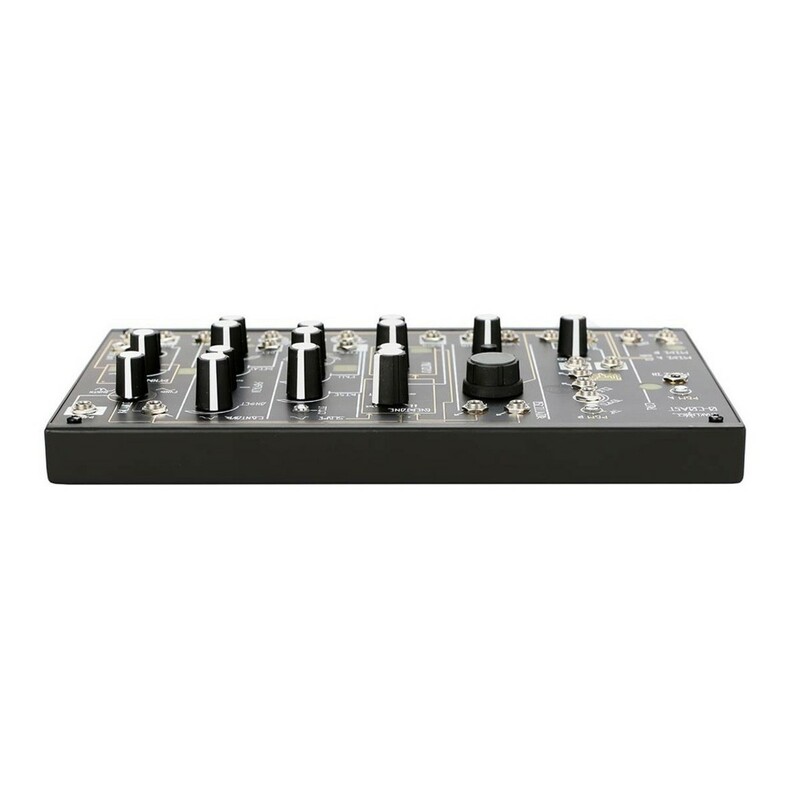 Connections are made from circuit to circuit, resulting in an expressive and versatile MonoSynth. You can use the synth module in conjunction with a range of MIDI controllers, allowing you to apply new timbres to your existing equipment. The synthesizer comes complete with Patch Cables, for sound experimentation. 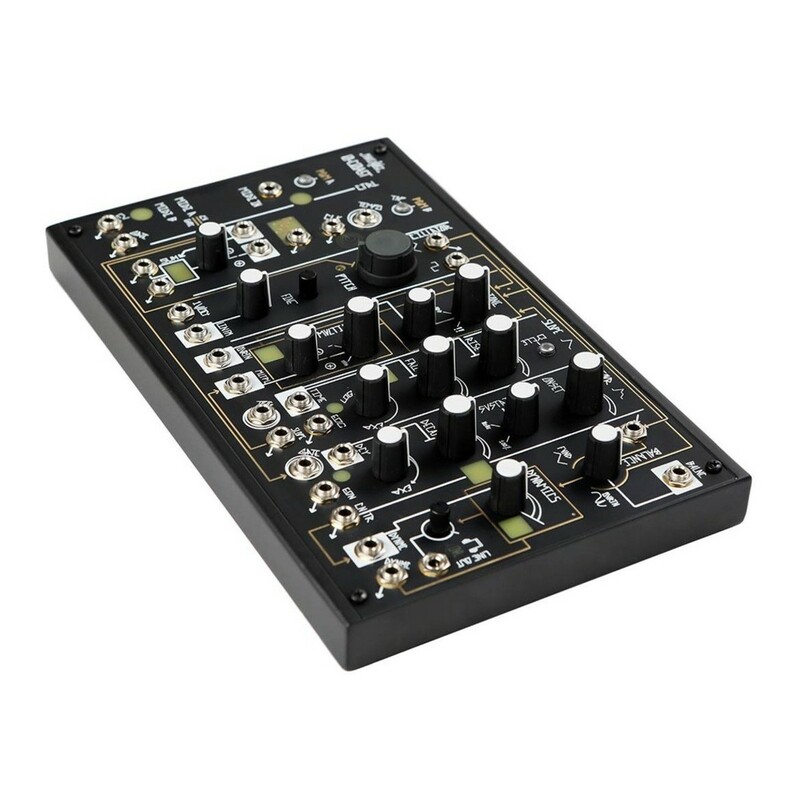 This allows you to get the most out of your synth module, disregarding the on-board MIDI connectivity in favour of vintage-style operation. It includes a unique transistor based low pass gate, represented by the Dynamics control, allowing you to further sculpt your sound. There are also Overtone & Multiply controls for uncommon timbral animation. One of the most unique features of the 0-Coast Synth Module is the integrated Overtone generator. This generator allows you to add further processing to your sound design. The generator features its own dedicated control voltage input and attenuator for optimal control. The overtone multiplier circuit also boasts the same. The on-board, dual-mode, MIDI controlled arpeggiator is ideal for creating rhythmic sounds and sequences that can be used to cause movement with your sounds. A clock generator is also included with tap tempo control and random voltage generator for further processing fun. The dynamics circuit is driven by a four stage envelope generator, providing in-depth control over your frequency spectrum. The compact yet robust steel enclosure is built-to-last, and its versatile design means it can function as a desktop synth module as well as being able to be housed within a Eurorack. 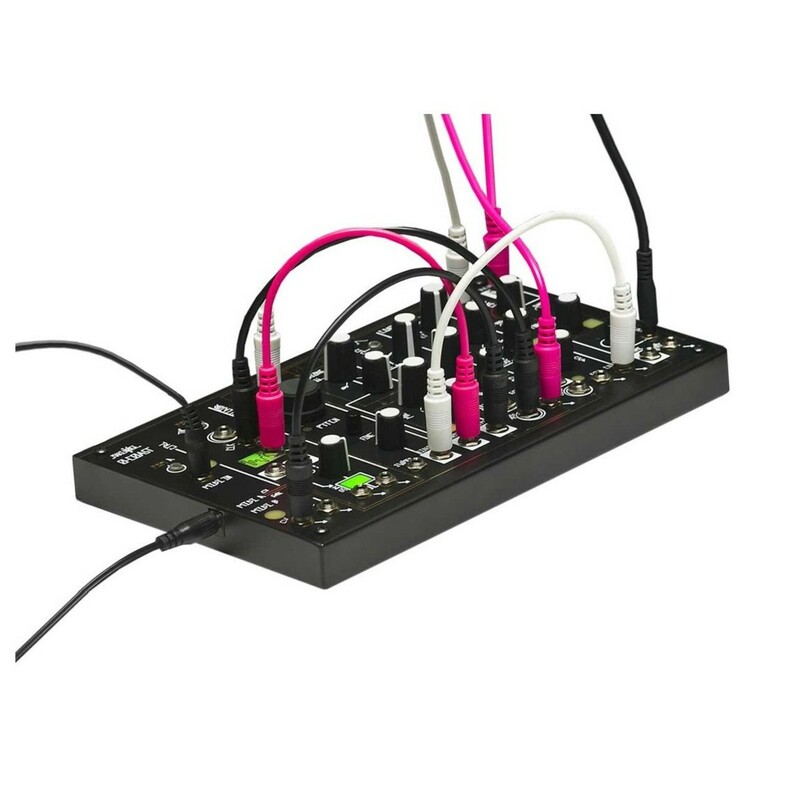 The 0-Cast Synth Module includes a wide range of connectivity including a headphone and line level amplifier, as well as 2 channels of MIDI to CV and MIDI to Gate. The firmware has also been revised and updated to NoCoast1.6.8, adding Portamento functionality and other MIDI features (available for download from the Make Noise website). A Sync to MIDI clock is also included as well as an external audio input for combining the synthesizer with outboard sounds.